University students who also work part-time are more successful at finding a full-time job after graduation than students who have no work experience. Despite beliefs that students who do not work are better off because they can devote themselves to studies, anecdotal evidence now suggests work experience is just as important, and may be more important, than perfect grades. Jason Wright worked part-time in retail and hospitality while completing a Bachelor of Commerce (Corporate Finance) at the University of Adelaide. 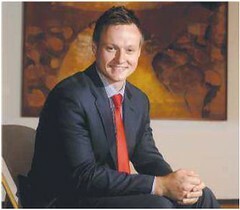 He later secured a position with National Australia Bank and now works in its business banking division. This entry was posted in Employ and tagged Commerce, Corporate Finance, full-time job, work experience. Bookmark the permalink.